All processes, apps, etc that I want to block have been blocked, yet still there are processes that arise trying to connect. These processes are are identified as related to microsoft cloud and there is no option to block them when I right-click. What is going on and how can I successfully block all Microsoft telemetry? Note that I have disabled OneDrive, eliminated Cortana, set ALL privacy settings to off, gone deep under the “hood” to disable telemetry, including in the registry, yet Windows 10 still calls home. How do I know for certain whether these processes are actually succeeding to connect? I suspect they are, because when I am not actually connected to any network I do not see the activity in question. I see the IP ranges that you have identified as “Microsoft IP RANGE”, and I will gladly block them all, but I see many other IP address in the list that are not in those ranges. What do those addresses relate to? For example, the addresses between 13.68.31.193 and 13.92.194.212, or between 40.68.222.212 and 40.91.75.5, though these ranges are by no means continuous. I would rather not blindly block IP addresses not knowing what I am blocking. 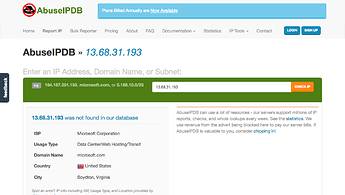 You need to block all above Single and Range IP addresses for Microsoft services. Of course if you find any problem in the future you can always unblock it. 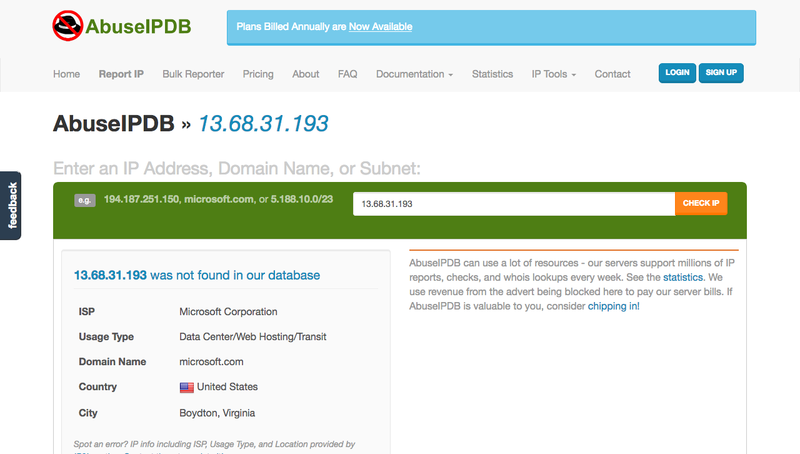 GlassWire also has an IP lookup feature here: https://www.glasswire.com/host/ This is built into our software. Click the three dot menu next to any IP in our software. A lot of people seem to go through a lot of steps to block telemetry, but please note with some Windows versions you can block telemetry through Windows itself. Or, just turn on GlassWire’s “ask to connect” mode to block a lot of telemetry/data you don’t want sent out. For example, Microsoft Phones and YourPhone.exe.